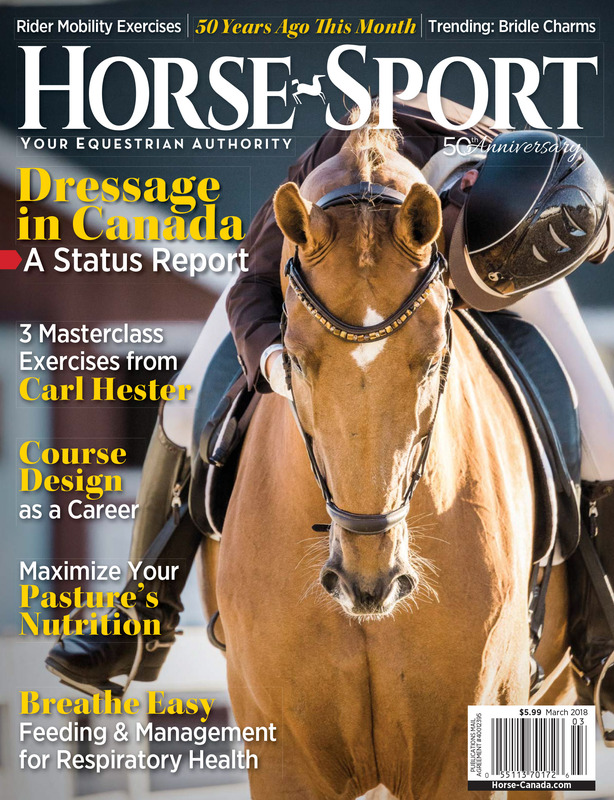 Godot SSF is the cover boy on Horse Sport’s March 2018 issue. GODOT SSF is being carefully brought along by Eiren Crawford. In his FEI six year old test in February 2017, he scored 78.6 with excellent comments, then went on to win at Dressage at Devon in the same class. 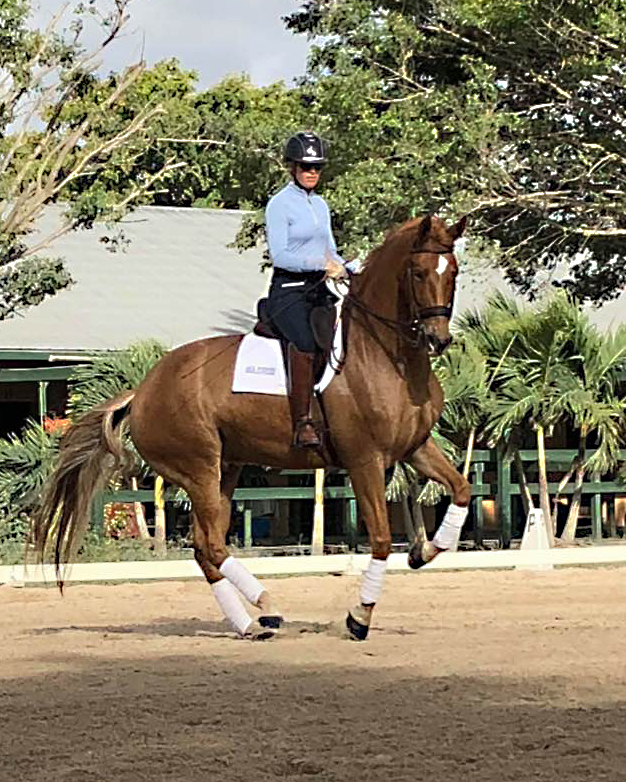 “Sammy” and Eiren are currently in Florida where they are beginning his FEI career in the Developing PSG and PSG classes. This American born and bred super talent is a horse for the serious and ambitious rider. Sammy has all of the power and adjustability needed to take him to the top levels of sport, and the incredible character and temperament to be an easy partner as he learns new skills. Already recognized as the KWPN high score mover in North America at three years old, this very special horse continues to develop in the most promising way. 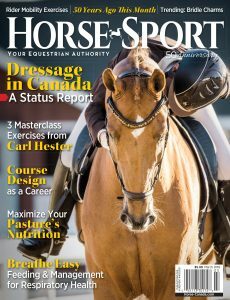 Read about Eiren and her cover horse in the March issue of Horse Sport magazine.